In a perfect world, you’d never have to guess on any question while taking the LSAT. But, there are occasions where time simply runs out, and when that occurs you have to guess (especially because, unlike the SAT, there is no penalty for guessing on the LSAT). I’ve talked elsewhere about Basic LSAT Guessing Strategy, which is based on answer choice appearance probabilities. As that article discusses, historically some answers are more likely to appear than others, and you can often gain an advantage by knowing those tendencies when the occasion arises. But, are there other guessing strategies you can employ? There are, and in this article I want to talk about one that can be used by high scorers looking to maximize their results. First, to employ this strategy, you must be scoring well already. Or, alternatively, you must have at least one type of section (LR, LG, RC) that you are generally good at. In that case, you can apply this strategy within that section. The prototypical user would be someone who is extremely accurate when answering questions, but who is not quite fast enough to finish all of the questions in a given section (or does not have enough time to return to a question skipped earlier). Second, to apply this in a given section, you must feel that in the actual section you have been performing well up to the point where you must guess. In other words, you have to feel that you have been answering the questions correctly. With these two points established, let’s discuss the strategy itself. The strategy involves referring to your prior answers within a section, and looking for the answer letter that has appeared least frequently, and then using that as your guessed answer choice for the remainder of the questions you cannot complete, in that section only. Let’s look at an example to see how it works. You know that you do not have enough time to complete the remaining five questions, and that you will have to guess. Basic Guessing Strategy dictates that in the last five questions of Logical Reasoning you should guess answer choice (E). The approach we are discussing here will actually suggest that you guess answer choice (D). Why? Look at all of the answers from #1 to #21. A quick glance tells you that answer choice (D) hasn’t appeared very often at all (note: all the answers above are correct; this reflects the fact that you can only employ this strategy when are very good at a particular section). In fact, it has appeared only one time. Without taking the time to count, you can easily see that (D) is the least frequently appearing answer choice. In LSAT sections, very rarely is one of the five answer letters simply ignored (has it happened? Yes, but again, it happens rarely). Each answer choice usually appears at least several times in each section, and often the totals in a section are well-balanced overall. For example, in Logical Reasoning section 1 of this test, (A) appears 6 times, (B) appears 4 times, (C) appears 4 times, (D) appears 5 times, and (E) appears 6 times. That’s pretty well balanced! That balances out the number of (D)s in the section. As it turns out, this section actually ended with a D-D-C-D-D run of correct answers. So, by using this approach, you would gain 4 extra correct answers. Not bad! Will this approach always succeed in this fashion, or this dramatically? No, of course not. There are always exceptions to every rule, and you could run across a section that simply doesn’t feature a certain answer many times. But this is a guessing strategy, not an overall approach to the section, so it is ok to take a chance on something likely to affect such a small percentage of your answers. You may also run into a situation where all the prior answers are roughly the same in terms of numbers (for example, all of them appear 4 or 5 times). If that occurs, go with your normal guessing strategy choice. Last, this strategy can also be applied if you skip some questions along the way (for example, you might skip a Parallel Reasoning question because it was quite lengthy and you knew it would take a while just to read the question). In that case, if you only have time to blindly guess, simply refer to all of the answer choices you have completed (the ones before and the ones after), and select the letter that has appeared least. Overall, while this is a strategy that shouldn’t be applied by everyone, for the right people it can at times add valuable points they would otherwise miss out on. Photo: “I void warranties” courtesy of Scott Swigart. Do you have any statistics of how this has worked through out prior tests and more sections? Or is this based simply off of the last administered LSAT? If you do can you please share or point me where to find them. Thanks for the question. I simply used the last section of the last LSAT because it was the most recent, but there are a number of other examples as well. We keep a data set here that on every single LSAT that I used for this, but it contains too much info for me to post in the blog (it contains hundreds of thousands of data points). As I mention in the article, it doesn’t always work because some sections maintain balance throughout the questions. Plus, you have to remember that this works differently for each person because it is based on doing well on the prior questions. However, there is another way to use this idea that I was going to mention in a future article. If you meet the criterion, and you see that one answer is overloaded in your prior answers, then you can avoid guessing that answer. For example, let’s say that at the end of LR you typically guess (E), but you notice you have 7-8 (E)s already on your scoresheet. In that instance, you can avoid choosing (E) and select whatever answer you have least of. My logic games bible says that I should guess B if I have to, and A for the last five qiestions in the section. Does this still apply? Also, what are the best answer choices to guess for the other two sections? Thanks! Thanks for the question! Because the books are hard-printed, we use the stats that are available at the time of printing. Those then sometimes change when new LSATs are released. The most up-to-date stats are available in the link in the first paragraph above, which goes here. That has all the stats through the December 2015 LSAT. I have posted the updated stats that include the June 2016 LSAT into our website production queue, and they should go up in a week or so (normally it’s same day, but we have some people out on vacation). The only change from the stats you see on the web page is that in the last 5 for RC, it’s now B or D. Otherwise the designated choices are identical. KUdos for this Best Guess Section. I am scheduled for the June 12, 2017 and my strongest so far is the least time consuming LSAT section and most accurate. The logic games are very time consuming creating the charts to determine answers. I have the following questions: 1) What were all of the Best Guess Sections for the June and December 2016 and the February 2017? 2) Most of the free study guides have been several years removed. Does LSAC parallel upcoming tests based on 10 years, 5 years, other time and/or the previous year at the same time? 2) I am practicing logic games but this portion is just NOT working well. I have considered skipping the entire sections. What is the best guess strategy for the logic games? 4) How will any type of guessing on “least favorite” sections effect my overall score? 5) I understand the essay sections is counted highly toward the scoring and when you do well on the essay, you can be more impressive toward the bottom line despite other sections. Please comment. Can you give a link of the last 3 years of essay sections and the comparisons of what were good responses? 6) I saw a list of the city test sites for the experimental digital test scheduled for a May 20, 2017. When they say “digital” do LSAC mean completely (all test sections including the essay sections) AND will the digital have spell check capabilities? 7) Is spell check trending on any other standardized tests other than LSAT? Please note: I have a pretty good internal/personal spell check system for myself but I always like having a Plan B. 8) For those of use who have ADA accommodations and approved for alternative methods of scoring or using the test book, are you able to enlighten me on the “other alternatives that I could possibly have on test day”, LSAC was not informative. Thank you. * Our updated guessing info is listed here. That covers your questions about best strategies. * You mentioned “Most of the free study guides have been several years removed.” Can you explain that a bit more? I’m not sure what you are referring to there by “free study guides” and what is out-of-date about them. I’ll add more tomorrow but if you get a chance to update me on my questions above, that would be great. Thank you! 1. Do you mean what were the best answers to guess on each section of the last three LSATs? If so, check the answer keys of each exam and then count which answers appears the most, in particular at the end of each section. You won’t be able to do that for the February 2017 LSAT, however, because that exam is a non-disclosed LSAT and not released to to the public. If you meant something different by this question (and I think there’s a chance you might), just let me know! 2. I don’t know which study guides you mean when you say “free study guides” (I’m actually not aware of any online that are comprehensive and also free). I update each of the LSAT Bibles each year, which is part of the reason they aren’t free, and one reason I do so is to keep them current with the small changes that take place from year to year. LSAC and the LSAT has slowly changed over time, and the most recent exams are the closest, but logic itself does not fundamentally change. For example, conditional reasoning is the same today as it was 100 years ago. 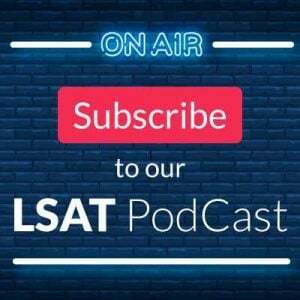 So, you can derive value from examining LSAT questions from any year, and I talk more about why that is the case here. 3. When you say “I have considered skipping the entire sections,” do you mean entire games? That can make sense in certain cases, and I talk about why in the Logic Games Bible. Do you have that book? If so, let me know and I’ll tell you where to go in the book to read that discussion. If you mean to skip the entire LG section, that is inadvisable in the extreme! 4. I’m not sure I’m following your discussion of “least favorite” sections. Guessing in general will help your score if you are in a position where you cannot finish the section, and since there is no penalty for missed answers, I strongly advise you to guess on every question you cannot complete. It will only help improve your score, sometimes by a significant amount! 5. 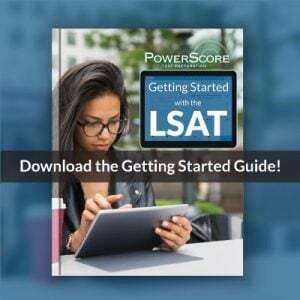 The essay on the LSAT is not scored and does not contribute in any way to your raw score or your scaled score of 120-180. Perhaps you have this confused with other exams like the GRE and GMAT where there is a separate score for the essay? For essay question prompt examples, please check the back of any LSAT PrepTest. the essay prompts are released with each exam when it is sent to the public. 6. Yes, the digital LSAT will be entirely on computer. We’ll know a lot more after the administration on May 20th, but in the meantime here is an overview. 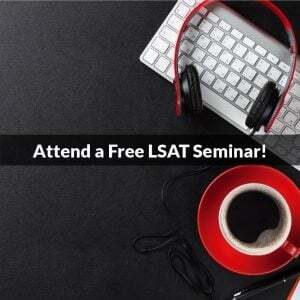 There’s also a nice discussion on our LSAT Forum about the digital possibilities. Most standardized tests, such as the GMAT, do NOT have spell check. Instead they have just the standard cut, copy, and paste functions only. We’ll see about the LSAT, but this is just a field test and the actual exam may end up being quite different if and when it comes out. 7. LSAC has historically not been the most helpful organization when it comes to accommodations they grant, but you must have missed their list of possible accommodations on their website. It’s extremely specific and lists 29 separate accommodation possibilities. We also put together an overview of known accommodations that have been granted to various test takers over the years, as well as the process as a whole.